It is generally claimed that there are between 550,000 and 600,000 Israeli settlers living in the West Bank of Palestine in 2014. Since the earliest days of the occupation of Gaza and the West Bank, the number of settlers in the West Bank has only ever increased, even during peace negotiations or even during the unilateral withdrawal by Israel of Israeli settlements in Gaza in 2005. These settlers are generally divided into two categories: ideological and economic. The term, economic settler, refers to those settlers that have chosen to live in the West Bank because of the great economic benefits that the State Of Israel confers to such people. This group consists of some 85% of all settlers and one could postulate that the vast majority of them would not be inclined to live in the West Bank had not the state of Israel made the prospect of such a move into “enemy territory” so enticing. The other 15% of settlers fall into the ideological category and are a vastly different group of people to deal with. Many Israelis find this group of settlers to be offensive and are often embarrassed at the violence and racism that often accompanies the behavior of these highly motivated Zionists. The experience of my fellow EA’s of ideological settlers has completely vindicated the view of these Israelis as violent, religious, gentile hating fanatics. All of my colleagues have related that they feel a sense of dread and even fear for their safety/lives when these types of settlers arrive on the scene. Ideological settlers are possessed by a fanatic belief in their entitlement to all of the land of Palestine/Israel and they see Palestinians as a disease upon the land that must be cleansed in order to redeem the land and make way for the coming of the Messiah. Their religious zeal is centered on possessing the land rather than obeying the ethical and moral teachings of the Torah that emphasize social justice and mercy to the “alien” in the land. My experience of ideological settlers has thankfully been limited to the stories told to us by various Palestinian farmers in the West Bank who have the misfortune of living near settlements like Gilad, near the Palestinian village of Far’arta. 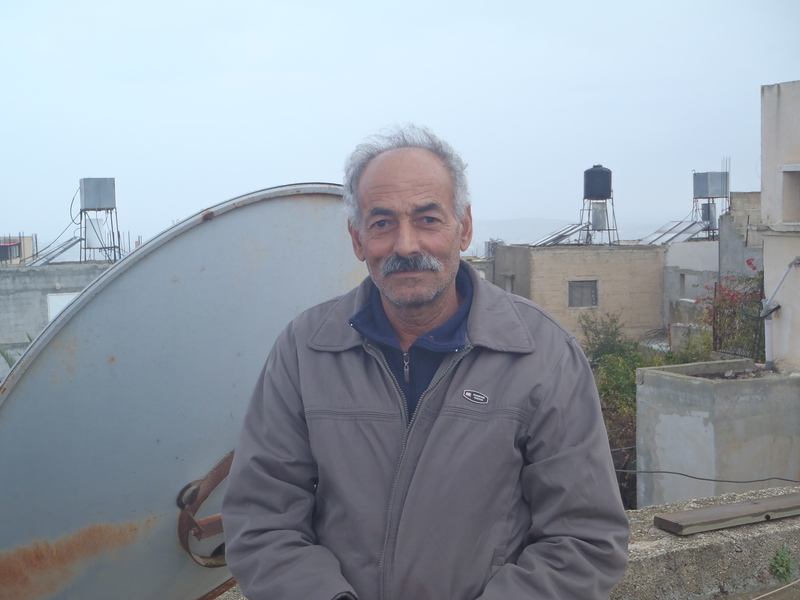 One such farmer is Abu Wael, who lives in his house on a hilltop in the village of Far’ata. We visited his house a few weeks ago to hear his story and offer him some moral support. Abu Wael has had many dunams of land confiscated by the settlement of Gilad which contains some of the most extreme ideological settlers in the West Bank. He told of his many encounters with settlers coming onto his land while he has been working; threatening to kill him and his family if they did not leave the land at once. Abu Wael often called the military to come and protect him but found, like many other Palestinians, that the military seemed more intent on “protecting” these settlers rather than the people who were most powerless and vulnerable. He told us how one day his son was in the fields with him when settlers came down and started arguing with Abu Wael and his son. 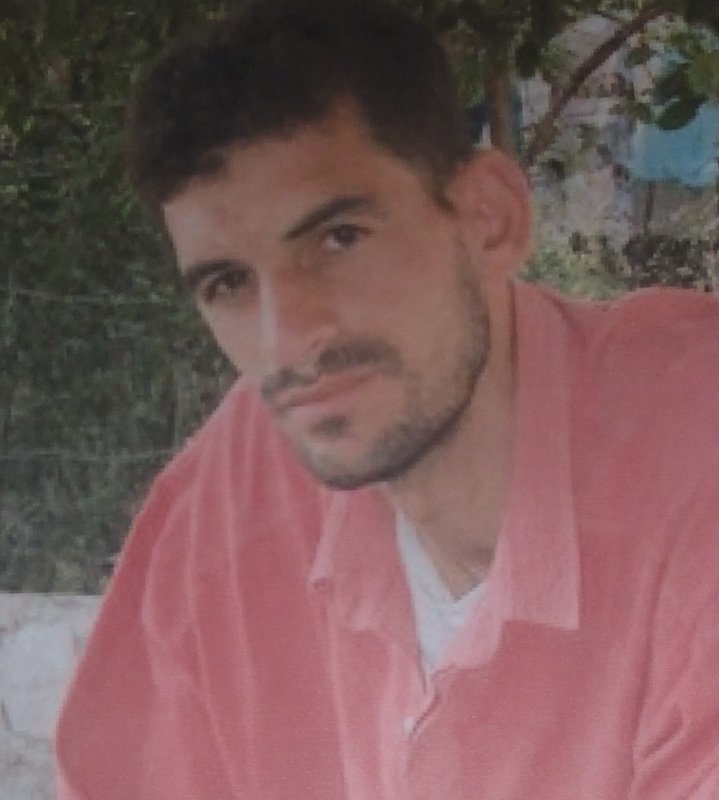 One of the settlers struck Abu Wael’s son, fracturing his skull. Though there were numerous witnesses to this event, no charges were ever brought against the settler and the threats of violence and intimidation continue. Abu Wael’s son. Brutally beaten by settlers. This is but one of the many incidents that we have heard from eye witnesses while in the Jayyus area. So far during our stay in the West Bank, there have been 48 recorded instances of violence by Israeli settlers against Palestinians that have resulted in personal injury or damage to property according to OCHA’s weekly protection of civilians report. No arrests have been made. It has been overwhelmingly my experience, while here in the West Bank, that Palestinians reject this type of extremism and believe that the majority of Israelis, like them, want peace. They reject the Israeli Government stance that Hamas, with it’s so called rejection of the right of the State of Israel to exist, is a barrier to a two state solution. If a Palestinian state with ’67 borders, no settlements in the West Bank allowed and East Jerusalem as its capital, was offered by Israel, ALL Palestinians would accept it and if Hamas continued to resist such an offer, it would simply be political suicide for them as Palestinians would ignore them by the million. I still passionately believe that peace and justice is possible in this region. We just need the will to make it happen. The Children Killed in the Norway Terror Attacks Got What They Deserved – according to pro-Israel champions of freedom. The following article was published in Mondoweiss on 5/08/2011. It shows the pitiless hatred of many westerners who fancy themselves to be champions of a democracy they know nothing about. One of Pamela Geller’s cohorts, Debbie Schlussel, has explicitly stated that those killed at Utoya got what was coming to them because they were “HAMAS Youth” and (at the same time) “Fatah PLO” terrorists. Schlussel may not be as well-known as Geller (perhaps because Schlussel has not exercised a leading role in anything as prominent as the “Ground Zero Mosque” furor), but she is a politically active Republican and more mainstream than Geller because she is also a culture writer with a strong media presence. (Not that she separates this work from her anti-Islamic campaign – she has criticized the film industry for not doing enough to portray Islam “correctly”). “Based on these pics, seems like he’s [Glenn Beck’s] spot on, though he should have added, HAMAS Youth camp, too. As we all know, Nazis boycotted Jews and were Jew-killers. And these hateful, privileged brats at the camp boycotted Jews and sided with Jew-killers. Far stronger words than Geller was willing to use. But they are par for the course as far as Schlussel is concerned. Her prominence derives from her utility to the male conservative-dominated anti-Islamic movement. The fact that she is a woman (and also the daughter of Holocaust survivors) speaking out against Islam gives greater credence to an ideological group whose most well-known speakers are white Christian males like Newt Gingrich, Geert Wilders and Pat Robertson (the movement is, as a whole, dominated by sociopolitically conservative men, although many are not Christians). Gingrich and Robertson, for instance, denounce Islamic attitudes towards women, while still being hostile to “feminism” under the cloak of “family values.” Having women on their anti-Islamic bandwagon helps prove their “point” about Islamic backwardness and their moral righteousness, which is a combination of faux-progressivism (treating Geller and Schlussel as intellectual co-equals) and paternalism (evoking Orientalist images of rapacious Muslim brutes). A similar logic animates the GOP embrace of Sarah Palin, Ann Coulter and Michele Bachmann. Schlussel and Geller, among others, are useful for the right (while at the same time, they castigate individuals on the left for being Islam’s “useful idiots”). Schlussel is an ardent Zionist – Hamas and Fatah are basically the same thing, in her analysis, and are dedicated to ending Israel forever. With this in mind, few individuals or institutions are pro-Israel enough for her: Republican Governor Chris Christie, for instance, is “Hamas GOP” because he appointed Pakistani-American Sohail Mohammed, a Muslim attorney who defended individuals (including Hamas supporters) that the federal government sought to extradite from the U.S. after 9/11, to the NJ State Supreme Court. Whole Foods is “anti-Israel” because it sells fair trade products from Palestinian farmers in the West Bank and has dared to wish its customers a good Ramadan (there is ill-intent behind this marketing ploy, of course). And, like Robert Spencer and Pat Robertson, she believes that mainstream media is “anti-American” (and thus, anti-Western) and panders to Islam because it is anti-Semitic, anti-Christian and anti-Western. Both Congressmen Ron Paul (who has called for a U.S. withdraw from the Middle East and an end to the US$3 billion in aid Washington sends Israel annually) and Dennis Kucinich (who condemned the Israeli assault on the first Freedom Flotilla) are “for” Hamas, according to Schlussel. That a libertarian who caucuses with the GOP and one of the most lefit-wing members of the Democratic Party are somehow colluding to advance Hamas’s agenda is well within the realm of possibility for Schlussel: either you are with Israel (and the West – which, by extension, means you’re “with” civilization), or against it. For Schlussel, no Muslim can ever be “for” those things. <The author would like to thank Mondoweiss’s readers for bringing Schlussel’s response to his attention>. People continually ask me how anyone can negotiate with a group like Hamas that vows to wipe Israel off the face of the map. What they don’t do is realize that it has never been a goal of Zionism to share the land of Palestine with an Arab state. Just take a look at the map that the World Zionist Organisation offered at the Paris Peace conference in 1919 for a Zionist state. Just take a look at the dozens of documented statements by influential Zionist leaders way back before 1900 that said that their intention was to dispossess the Arabs of Palestine in order to make room for the newly arrived Jewish population. Just read Ben Gurions statements about the Zionist attitude to the 1947 Partition Plan. Just look at the response made by the Israelis when in 1993 Yasser Arafat officially recognised the right of the state of Israel to exist with safe and secure borders. Just read the documentation made by Israeli historians showing the ethnic cleansing of 800,000 Palestinians in 1948. Just look how Israeli settlements have increased in the West Bank over the last 43 years. All of this and much more would lead any reasonable person to conclude that so far as a Palestinian state is concerned, Israel has never wanted it to exist. Israel has never needed to make a statement that they wish to wipe a Palestinian state off the map because they have simply done everything they could over the last 80 years to make sure that it never could come into existence in the first place. The Zionist desire to make sure that any Palestinian state will be still born is at the basis of the claims by groups like Hamas. Just look at the case of my homeland, Australia. Do you think the British ever came here to share the great South Land with an indigenous state? Last Sunday night I went to hear a J Street director speak in Cape Cod, in a community with many Jews, and I kept looking around the room for ones I knew from my childhood summers. Only one—and afterward I had a fight with my mother about the issue. Which is really all I’ve asked for, a battle inside the Jewish family over Zionism. I will get to the fight with my mama before long but meantime it is important to relate what Steven Krubiner, the young well-spoken J Street man had to say. For it speaks to the backwardness of the American Jewish community on the Israel/Palestine issue and underlines a theme here, we Jews fell in love with Zionism some time ago and it will take a long time to break up the romance, and it is very hard to make any progress if the conversation is only inside the Jewish community. No, we Jews must open our ears to the likes of Ali Abunimah and John Mearsheimer and Andrew Sullivan. Krubiner’s message was the urgency of the U.S. pushing Israel to come to the two-state solution. The only way Obama will do so is if he feels political able, and the only way he will feel that political comfort is if the Jewish community doesn’t abandon Congress and the president over the issue. So Krubiner’s talk was directed at Jews: The hour is getting late, this is an existential crisis for the Jewish state, and you must allow Obama to pressure Israel or Israel is lost. To make headway with his presumed Jewish audience, Krubiner began in a place of love and fear. He told us that he had been taught to love Israel as part of his Jewish identity – like all other Jews, he said and reader, I did not projectile vomit—and had not even realized there was a conflict over there till his 7th grade social studies teacher was killed in a bombing in Israel, evidently in the early 90s, and this had jarred him. Then Krubiner had helped lead a tour of Jewish communities in Europe and realized there were no thriving Jewish communities, they had been wiped out, an experience that convinced him that Israel was necessary for Jews. After college he had defied his parents to move to Israel. Again, not my storyline, nor the storyline of most American Jews. Zionism calls on a conservative impulse in the Jewish soul. Krubiner is a liberal, surely thinks of himself as a liberal, but his messaging was very conservative. As I noted earlier here, he never talked about the occupation and didn’t mention settlements until the Q-and-A. Settlements isn’t J Street’s agenda. There was a lot of unpleasant demographic talk. If we make a 6 percent land swap, the state of Israel will go to 86 percent Jewish (yes, and what about the Palestinians dealt out of Israel into a Palestinian state, on ethnic transfer terms, will they dig that?). Or: If you put a GPS device on everyone in Jerusalem and made the Palestinian dots green and the Israeli ones blue, you would find that it’s very “clean,” Jews move around in West Jerusalem and Palestinians stay in East Jerusalem. Mr. Clean! Not for me! Krubiner said, “Ideally, especially for American and Israeli Jews they would want… all of the land… of Israel,” from the river to the sea. But they can’t have that without either sacrificing democracy or giving up the idea of a Jewish state. And therefore because J Street is “unconditionally” for a Jewish state in Israel, we must give up the land so that the inevitable Palestinian majority will have a place to go. The revelation in these statements is that Krubiner is doing outreach to a very conservative community. You can talk all you like about secular Jews, but American Jews believe in a way that can only be called religious (because most have never seen the West Bank) in their right to the “Land of Israel.” And so when asked about settlements, Krubiner was somewhat apologetic about J Street’s backbone moment of February, when it criticized Obama for voting against the U.N. Security Council’s resolution opposing Israeli settlements. Yes, our position didn’t play very well in the Jewish community, Krubiner said. I.e., this community is behind the times, and it is driving policy. Now as I have pointed out earlier, Krubiner is a smart guy who gets the story. He knows that the occupation is destroying Palestinian souls, as he stated in the one-on-one by the lectern after the speech. And when a questioner asked about democracy without regard to race in Israel and Palestine, Krubiner acknowledged that democracy was a virtuous thing, but he then said that it would take a “sad rollercoaster of violence” to get us to that place. A legitimate point of view of course. Though not in itself a justification for slavery. Remember: an American rollercoaster of violence, the Civil War, is justified historically on that basis, it was worth it to end slavery. I don’t know about that. I am not opposed to partition, but I don’t think that Palestinians want the whole place to themselves. The one-staters in our community want a democracy for the people who were born in that place–and for the people whose grandparents were born there. By playing the fear card, I think Krubiner is trying to get Jews off their butts and energize them politically. Why doesn’t J Street take its teachings to a non-Jewish audience and try and energize them? The reasons are several. A, the Jewish community is where the Democratic money is and J Street is playing a Washington insider game, B, If you are a Zionist, well, you don’t fully trust the goyim with your fate– so how can you work with them, it goes against the Zionist understanding… C, And how could you trust American non-Jewish liberals anyway? The non-Jewish audience as soon as they become informed will question the right of Jews to have a Jewish state in a land that is not historically ours and at a time when Jews are way safer in the west and there are Jim Crow conditions across the West Bank and a ghetto in Gaza. On the other hand, the problem for J Street in working inside the Jewish community is, their views are to the right of Atilla the hun. You can’t even talk about settlements. Krubiner made a point of bashing the neocons, saying they had driven policy in this area, so evidently neoconservative has high negatives even for Jews. But it’s not like liberal Jews are all that much better. I want to conclude on the secular point. We grew up thinking that we were secular Jews. That’s the big category of Jewish cultural life: east coast secular Jews. But as Krubiner proves, there is a large percentage of secular Jews who believe in a religious idea: our right to the West Bank. Ed Koch believes it, it’s why he’s savaging Obama. David Mamet believes it, he doesn’t want to give an inch. We have the right to the Land of Israel. An idea we read in a book with leather covers and God inside, for which we have no evidence. A year or so back I heard that peace processor Aaron David Miller was speaking at a synagogue in Cleveland and said we have to give up the land and the rabbi said, But God gave us that land. Joke was on Miller. I am saying that intolerant religious attitudes on Israel/Palestine are deeply embedded in the Jewish community. So what progressive would want to move policy forward by working only in that community? It would be like trying to wage the battle for abortion back in the 80s by organizing in the Catholic church. Or waging the battle for women’s lib by organizing in the Muslim community, which tends to be very traditional. All these communities can be moved on these religious questions. But it requires an outside force. Alice Walker, the Pulitzer Prize winning author of “The Colour Purple” is about to set sail on the Gaza Flotilla. Robert Zeliger, editor of Foreign Policy, interviewed her on JUNE 23, 2011. Here is her story of resistance to Apartheid and oppression which started in the deep south of the U.S. The author and activist, who is setting sail for Gaza on a humanitarian mission, says Israel ‘is the greatest terrorist’ in the Middle East. Pulitzer Prize-winning author Alice Walker will join the flotilla of ships next week that will try to break Israel’s maritime blockade of the Gaza Strip. She says the goal is to bring supplies and raise awareness of the situation there. Last May, during a similar attempt by activists, Israel raided six ships. On one, clashes broke out and Israeli commandos killed nine people. Foreign Policy reached the author of “The Colour Purple”in Greece, where she is preparing for her departure. Foreign Policy: Why are you taking part in the flotilla mission? Alice Walker: In 2009, I was in Gaza, just after Operation Cast Lead, and I saw the incredible damage and devastation. I have a good understanding of what’s on the ground there and how the water system was destroyed and the sewage system. I saw that the ministries had been bombed, and the hospitals had been bombed, and the schools. I sat for a good part of a morning in the rubble of the American school, and it just was so painful because we as Americans pay so much of our taxes for this kind of weaponry that was used. On a more sort of mature grandmotherly level I feel that as an elder it is up to me and others like me — other elders, other mature adults — to look at situations like this and bring to them whatever understanding and wisdom we might have gained in our fairly long lifetimes, witnessing and being a part of struggles against oppression. FP: How long have you been involved in Palestinian activism? What drew you to it? AW: It started with the Six Day War in 1967. That happened shortly after my wedding to a Jewish law student. And we were very happy because we thought Israel was right to try to defend itself by pre-emptively striking against Egypt. We didn’t realize any of the real history of that area. So, that was my beginning of being interested in what was going on and watching what was happening. Even at that time, I said to my young husband, well, they shouldn’t take that land, because it’s actually not their land. This just seemed so unjust to me. It just seemed so wrong. It’s really unjust because in America we think about Israel in mythical terms. And most of us have grown up with the Bible. So we think that we are sort of akin to these people and whatever they’re saying must be true — their God is giving them land and that is just the reality. But actually the land had people living on it. The people were in their own homes, their own towns and cities. So, the battle has been about them trying to reclaim what was taken from them. It’s important, when we have some new understanding — especially adults and mature adults — we must, I think, take some action so that younger people will have a better understanding of what they are seeing in the world. FP: Is the goal of this mission, though, to just raise awareness, or is it to actually deliver supplies? AW: Well, our boat is delivering letters. So what we’re trying to draw attention to is the fact that the blockade is still in effect. On the other boats there will probably be supplies. I haven’t checked but probably things like sewage supplies. FP: But Egypt has partially reopened its border with Gaza. So, couldn’t you get supplies in through there? AW: No, you can’t. You can get two suitcases. Not only that, they closed it. They opened it and then closed it. So, that has not been worked out. I know people like to rally around what they think is a positive thing, but it’s not that positive yet because it’s not firm. They limit the number of people. They close it. They say two suitcases. You can’t build a sewage system with two suitcases. FP: Israel’s ambassador to the United Nations said the stated goal of “humanitarian assistance” was a false pretext for your mission — and it’s actually designed to serve an extremist political agenda, and that many of the groups participating in the mission maintain ties with extremist and terrorist organizations, including Hamas. Your reaction? AW: I think Israel is the greatest terrorist in that part of the world. And I think in general, the United States and Israel are great terrorist organizations themselves. If you go to Gaza and see some of the bombs — what’s left of the bombs that were dropped — and the general destruction, you would have to say, yeah, it’s terrorism. When you terrorize people, when you make them so afraid of you that they are just mentally and psychologically wounded for life — that’s terrorism. So these countries are terrorist countries. FP: How is the United States a terrorist country? AW: It is. Absolutely, it is. It has terrorized people around the globe for a very long time. It has fought against countries that have tried to change their governments, that have tried to have democracies, and the United States has intervened and interfered, like in Guatemala or Chile. I feel that it is so unreasonable, and I don’t quite understand how they can claim everyone else is a terrorist and they are not when so many people right this minute are terrified of the drones, for instance, in the war in Afghanistan. The dropping of bombs on people — isn’t that terrorism? FP: Of course Israel and the U.S. aren’t the only ones that use bombs. Hamas has fired rockets at Israel in the past. AW: Yes. And I’m not for a minute saying anybody anywhere should fire rockets. I mean, I would never do it. Nor would I ever supply such a thing to anyone. But it’s extremely unequal. If people just acknowledge how absurdly unequal this is. This is David and Goliath, but Goliath is not the Palestinians. They are David. They are the ones with the slingshot. They are the ones with the rocks and relatively not-so-powerful rockets. Whereas the Israelis have these incredibly damaging missiles and rockets. When do you as a person of conscience speak and say enough is enough? FP: Are you concerned at all that your trip could be used as a propaganda tool for Hamas? AW: No, because we will never see those people. Why would we see them? FP: You don’t think you’re going to see anyone from Hamas? AW: No. I don’t think we would. If we manage to get through with our bundle of letters we will probably be met by a lot of NGOs, and women and children, and schoolteachers and nurses, and the occasional doctor, if anyone is left. FP: But doesn’t Hamas control the security apparatus of Gaza? AW: They may well control it, but we’re not going to see them. It’s like everyone who comes to D.C. doesn’t see the president. FP: I have to ask, since the previous flotilla trip ended with an Israeli raid on one of the ships and nine people dead. Are you frightened? AW: Sometimes I feel fear. And the feeling that this may be it. But I’m positive — I’m looking at it as a way to bring attention to these children and their mothers and their grandmothers, and their grandfathers and their fathers, who face this kind of thing every day. I grew up in the South under segregation. So, I know what terrorism feels like — when your father could be taken out in the middle of the night and lynched just because he didn’t look like he was in an obeying frame of mind when a white person said something he must do. I mean, that’s terrorism too. So, I know that feeling. And this is what they are living under. And so, if you ever lived under terrorism yourself — you know terrorism USA, Southern-style — then you understand that people don’t like it and they should not be subjected to it anywhere on the planet. Hiding behind the sins of Hamas. Only the crimes of Arabs and Muslims count in the Middle East. “The notion that we can do whatever we please, to any kind of temptation, or engage in any form of foolish self-aggrandizement without fear of penalty because we have an inside track to the Almighty is the plain opposite of religious faith. It is in fact an affront to the Divine, whose authority to determine the course of history we are usurping. The traditional penalty for this sin is to be sent to face a hostile world with no lucky breaks, no Divine assistance whatsoever, until we learn that only those who are performing God’s will can count on His assistance. Such blind faith is not really a faith in God at all, but rather faith in ourselves. It makes a tool out of the Almighty. It turns Him into a kind of “secret weapon” whose purpose is to guarantee our success at whatever we fancy. It is an idolatrous concept that masks what is actually an irrational belief in our own invincibility” (Sober, 1990, p. 30, 31). The attitude of the anti-Zionist Jews could not be in greater contrast to the mentality of most Zionists, be they Christian or otherwise, with regards to the behaviour of the Zionist State of Israel. At a recent BDS protest in Adelaide, South Australia, a banner stating, “STOP AUSTRALIA’S SUPPORT OF ISRAELI WAR CRIMES”, drew a near hysterical response from a Christian Zionist passing by. “What about the crimes of the Arab countries! Why don’t you protest against them!” Although I informed the man that we had all been involved in a number of protests in the past few weeks condemning the atrocities of the various dictatorships (virtually all of which have been backed by Israel’s greatest ally, the U.S.) in the Arab part of the world, his anger could not be cooled. It has been my consistent experience that even when we are able to show Christian Zionists that Israel has been involved in war crimes and human rights violations, they cast all these accusations aside by merely stating that all the Arab states are terrorist states that want to destroy Israel. An enormous amount of facts are left out in the Christian Zionist explanation of why the Arab nations take issue with Israel and what the real attitude of the Arab dictatorships are toward the Zionist state. I will list a few that need mentioning here. 1. The undisputed fact that Arabs and Jews have peacefully co-existed in the Holy land for centuries prior to the Zionist colonization of Palestine. 2. Prior to the Zionist period in Jewish history, Muslims did not read in their copies of the Koran that they must “kill Jews”. 3. Anti-Semitism was never are part of popular or elite culture in the Arab world as it has been in Europe (the “home” of both anti-Semitism and Zionism). 5. In 1993, Yasser Arafat wrote a letter to the Israeli Government stating that Israel has a right to exist with safe and secure borders. No reciprocal statement was made by the Israelis. 6. In 2002 the Arab Peace Initiative, first proposed by Prince Abdullah of Saudi Arabia was proposed as a solution to Arab-Israeli conflict in general and the Israel-Palestine issue in particular. At the Beirut Summit on March 28th 2002, the initiative was published and was agreed upon again at the Riyadh Summit in 2007. The initiative gained the unanimous consent of all members of the Arab League including both the Hamas and Fatah factions of the Palestinian resistance. Unlike the other proposals in the peace process, the initiative spelled out final status borders based explicitly on the U.N. borders established before the 1967 Six Day War. It offered full normalization of relations with Israel, in exchange for the withdrawal of its forces from all the Occupied Territories, including the Golan Heights, to recognise an independent Palestinian state with East Jerusalem as its capital in the West Bank and Gaza Strip, as well as a just solution for the Palestinian refugees. The initiative called for no more than what the U.N. had mandated and predictably the Israelis rejected it outright. 7. Zionist thinkers had been stating, as far back as 1897. that Zionist intent was to rid the land of Palestine of Arabs. 8. In 1948, in order to create a Zionist state of Israel that had a majority of Jews, 800,000 Palestinian Arabs were either murdered or forcibly removed from their homes by Zionist terror gangs and militias. 300,000 Arabs were ethnically cleansed before even one non Palestinian Arab soldier entered Palestine. 9 Arab dictatorships in the Middle East are nearly all backed by the West and wish to have normalised relations with Israel because of the economic benefits that would bring to their countries. Israel has never wanted true democracy in the Middle East (neither has the U.S.) as any democratic state in the Arab world that truly represented the common person in the street would undoubtedly be far more anti-Israel than the U.S. controlled dictators that now exist. This is because most Arabs know what we choose to forget,i.e., that the west has exploited the Arab nations for decades. 10. Zionist settlers in the West Bank routinely call for the extermination of all Palestinian men, women and children. The list could go on. The root cause of the Israel-Palestine conflict is not to be found in some imagined conflict between Islam and Judaism or some type of subliminal hatred of Jews by Arabs that has been fermenting for generations. The Palestinians have a genuine grievance against the Zionist State of Israel that has not only not been addressed, but has been exacerbated by Israel’s continued violation of International standards of Human rights. This continued violation has been aided and abetted by the U.S. If Israel finds itself surrounded by Arab enemies, it is largely due to the fact that it has created and continually provoked those enemies to a point where they have no trust of Zionist intentions in the Holy Land to say the least. Our complicity in the denial of the legitimacy of the historic grievance of the Palestinian people, done in the name of the War Against Terror or any other emotionally potent oversimplification, will only make peace and justice even harder to achieve. If Israel chooses to hide behind the sins of Hamas, (claiming that all resistance to the state of Israel is just another manifestation of anti_Semitism), it will one day find itself alone and without justification before the international community. The crimes of Hamas or any other Arab or Islamic group do not acquit the Zionists of their crimes against a people of whom Albert Einstein referred to as “no greater friends of the Jews”. Zionism has created only more enemies for Jewish people by ignoring the ethical and religious traditions of the God who called them into existence. God have mercy upon them.